With campus just 50 miles south of Chicago, Olivet students are only a quick car or train ride away from the third largest city in the United States. Take a walk along the sprawling Lake Michigan shoreline. See a play or hear the Chicago Symphony Orchestra. Ride the 150-foot tall Ferris wheel at Navy Pier. Stroll Chicago’s Magnificent Mile and visit the finest shops, galleries and restaurants the Midwest has to offer. 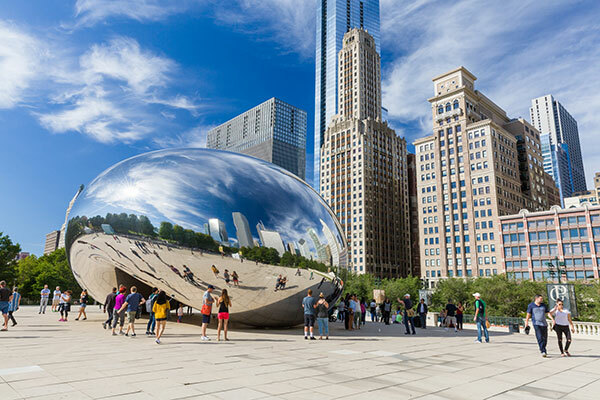 Cultural and learning opportunities abound in the heart of the city and its neighborhoods: Lyric Opera, Field Museum, Shedd Aquarium, Museum of Science and Industry, architectural tours, a world-class theater district, ethnic festivals, and so much more! And with the Cubs, White Sox, Bears, Blackhawks, Bulls, Fire and Wolves, Chicago is a sports fanatic’s dream destination! Check the train schedule for easy transportation to the Loop and all points south!